Are you looking to live, work or study in the USA? Gain real work experience or be graduate from one of the top universities. 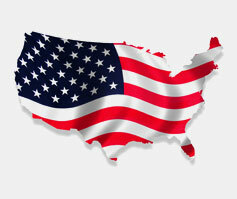 Develop your skills, career or education by studying in USA. Visas and permits are available for each of the criteria listed. Why not you visit us, for further information and steps for each of the processes required for individual visas. Our immigration professionals provides you complete details and helps you in your quest to achieve a better future. This is a fabulous way to stand out from the crowd when and if you return to your country of origin or progress to further travels. Each application has a timescale and you will expect to wait approximately 6 months from the date of attending your interview before you are contacted by the non-immigration visa unit. Applications are not checkable online. As you are not guaranteed to have your application granted it is best to get your application in as soon as possible. The immigrant visa is needed for anyone planning to live in the USA, regardless of seeking employment. US Immigration Law issues 4 different types: immediate family, family based, employment based and the Diversity Immigration Visa Programme, also known as “Green Card”. Submit the visa petition with the US Citizenship and Immigration Services. Process of the application will be carried out either by the National Visa Centre or the US Embassy in London. Attend an interview and medical examination. The US welcomes foreign citizens to join in the Student Exchange Programme, or to come and study in one of the great universities. Before starting you visa application you will need to be accepted an approved onto your choice of programme. You can find more information on the website and review the Student or Exchange programme information. Once you have been accepted onto your programme of learning the educational institute will provide applicants with the required approval documents that need to be submitted when applying for a visa. Student visas vary depending on if you are studying an Academic or vocational programme. Visas are also available for those looking to attend public schools. Different visas are required for those wanting to study on the exchange programme. If you have any questions regarding immigration and registration approach our More Visa visa experts, who guide you and make your immigration process hassle-free.